Arthur Greatorex was born in Walworth, Surrey on 14 July 1866, the youngest of the seven children of William Joseph and Eliza Greatorex. The census of 1871 shows the family living at 7 Arthur Street in Battersea. They were still at the same address when the census of 1881 was taken, and by that time Arthur was employed as a Tin Plate worker. His father and brothers Frederick and George had the same employment. On 3 December 1887, Arthur married Ada Fanny Young at the parish church of St.Ann in South Lambeth. She was a daughter of James and Mary Young. Arthur and Fanny started their married life at 27 Bonnington Square in Kennington. Their son Hubert Hedley was born in Brixton on 3 October the following year. The 1891 census shows them living at 59 Hubert Grove in Stockwell, and Ada's younger brother Jabez living with them. Arthur's occupation was listed as a Fine Art assistant and he would have been working for Dowdeswell & Dowdeswell Ltd. Daughter Dorothy Irene was born in Stockwell in 1894. By 1901 they had moved to 31 Mayflower Road in Lambeth. Son Hubert was away at school but daughter Dorothy was at home also Arthur's widowed mother was with them. Arthur's occupation was given as an Art and Picture Dealers assistant. Daughter Phyllis Ada was born later the same year. Their son Hubert was baptised on 4 September 1904 at St.Leonard's church in Streatham and Arthur was baptised at the same time. By 1907 Arthur had started to travel by ship to America in persuit of his business. In September of that year he sailed to New York from Liverpool accompanied by Eliza Greatorex, a lady whose identity is not currently known. The Electoral Register of 1908 shows Arthur's address as 94 Gleneagle Road in Streatham. By the time the 1911 census was taken, Arthur and his family were living at 16 Clairview Road in Streatham, Surrey. Also in the house at the time was servant Alice Maud Bragg and visitor Rosina Ada Wilkinson. Arthur's occupation was given as a Picture Dealer and noted that at the time he was travelling by overnight train to Scotland. In 1916, Arthur opened his own gallery at 14 Grafton Street on the corner with Dover Street in London W1. It was a limited company and he was Managing Director. Queen Mary was one of his patrons, buying paintings for her garden. He put on a number of exhibitions for artists, an example of which was Winifred Marie Louise Austen. She was an accomplished painter of animals and Arthur showed some of her etchings and drawings in July 1926. He also acted as her agent, advertising limited editions of her works at £4.4s.0d each. Beatrice Emma Parsons was another female artist whose work he exhibited. He also published a number of engravings. 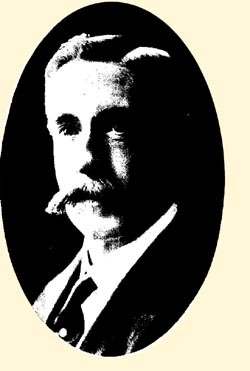 A contemporary magazine noted that Arthur was a member of the Fine Art Trade Guild and also was vice-president of the Streatham Sports Club. By way of his own recreation, he liked Cricket, Bowls and gardening. Arthur and his wife Ada continued living at the house in Clairview Road until she passed away in 1927. When Arthur sailed to New York in March 1928, he gave his address as 7 Clapton Square, place not given but probably in Hackney. 1928 Arthur married Maud Greaves in the Wandsworth registration district. In December when he sailed to New York, he gave his address as the Savoy Hotel in london. In May the following year, Maud accompanied him on his voyage to New York. Their address was listed as 14 Grafton Street, London, which is where Arthur had his business. The Electoral Register of 1938 lists Arthur and Maud at 43 Lewin Road in Streatham, however, the 1939 register shows them living at 14 Pretoria Road in Wandsworth. Also present in the house is the widowed Louisa Harris where the entry shows the name Fordham crossed out and replaced with Harris. This person is not known at present. Maud died in Rayleigh, Essex on 26 May 1951. Arthur passed away at home at 21 Brook view Road in Streatham on 27 February 1952. An obituary appeared in a newspaper.